Dinosaur National Monument was created in 1915 to preserve one of the world’s largest discoveries of Jurassic-age dinosaur fossils. The monument was enlarged to just over 210,000 acres in 1938 to include and protect canyons of the Green and Yampa Rivers. 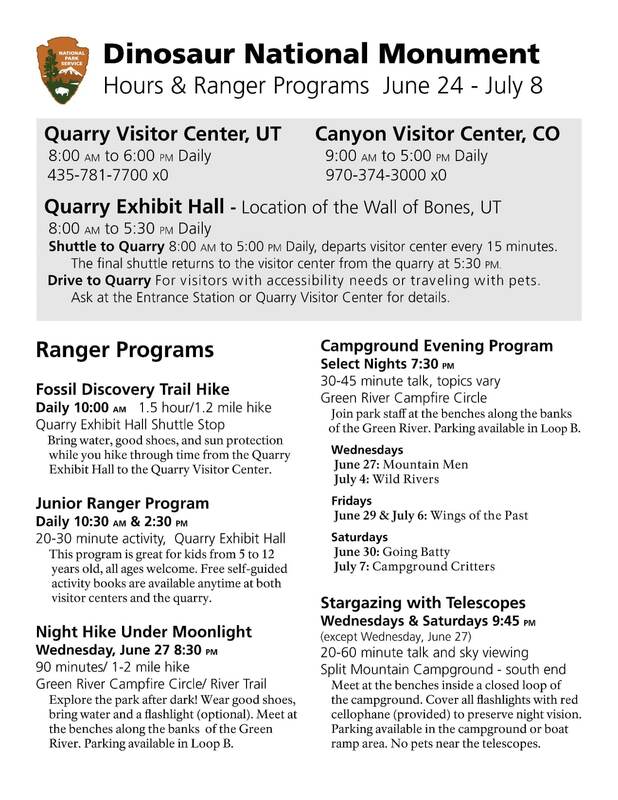 Rangely is only 20 miles from the Canyon Area Visitor Center of Dinosaur National Monument, located in Colorado, and 60 miles from historic Echo Park, where majestic Steamboat Rock towers over the confluence of the Yampa and Green Rivers. 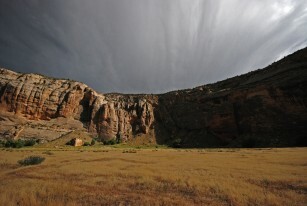 World-class geology, white water rafting, wildlife watching, camping and hiking are a few of the many opportunities available in remote and primitive Dinosaur National Monument. There are no dinosaur bones on display in the Visitor Center or at any other locations on the Colorado side of Dinosaur National Monument. Rangely is 55 miles from the world-famous Carnegie Dinosaur Quarry, located at the Utah entrance of the monument. The fossils in Dinosaur National Monument represent only 10 of the many dinosaur species that existed on earth some 160 million years ago. For more information, please visit www.nps.gov/dino.